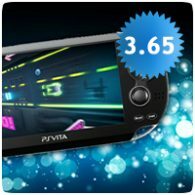 Sony has released a new Firmware update for the PS Vita, updating the system software to v3.52. The new update is mandatory if you wish to access the PlayStation Network or play online. Unfortunately, the update is simply a patch to improve system stability. Sony has released a new minor firmware update for the PS Vita, updating the system software to v3.51. This update fixes system stability issues when using certain features, and is required to access the PlayStation Network. A new major firmware update for the PS Vita has been released, updating the system software to v3.50. The new update adds new accessibility options, and improved Remote Play functionality with the PS4, but it also removes the Maps application, and related functionality from the near application. The complete changelog is included below.